Recovery is a part of your training process. It is a part of the process that requires as much determination and patience as the physical exertion. Recovery is what will allow you to stay healthy and reach your goals. Michael Bilyeu, OR-LMT lic. # 4610, has over 20 years of experience working with athletes of all levels from Recreational to World Class helping them stay healthy so they can achieve their goals. Additionally, he has worked work with person’s recovering from general injuries to specializing in auto accident recovery. 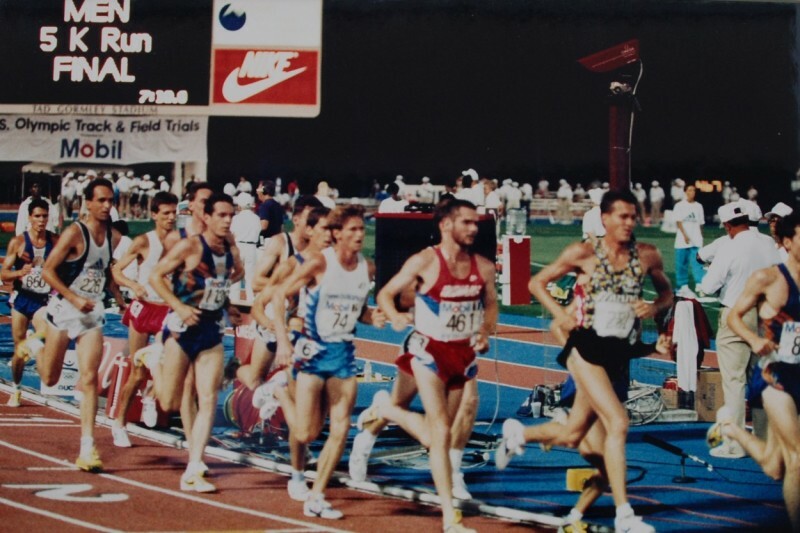 Michael was a competitive runner for 20 years starting in high school, continuing to run cross country and track at the University of Florida as a Gator, then post-collegiately in Eugene, OR where he received his MBA in International Marketing. He opened his massage practice in Eugene in 1993 while continuing to compete at national and international levels. He moved to Portland, Oregon in 1997 where he has made his home and practice, The Sports Massage of Portland, ever since. Below you can read about our philosophy as it relates to Sports Massage, Injury Rehabilitation and Pain Management, Auto Accident Recovery and PIP Insurance Billing, Relaxation Massage, General Insurance Billing and a few notes on how one may respond to a massage. At Sports Massage of Portland we view everyone who walks in the door as an athlete regardless of level of activity. The concept of repetitive activity issues and/or injury applies not only to athletes be it recreational or professional. How you function biomechanically with activity, whether it be at work on a computer, drawing desk, waiting tables or gardening on the weekends all incorporate repetitive motions that can overload your musculoskeletal system causing pain and/or injury. Like the recreational or professional athlete, you make your paycheck or find happiness from activities with your biomechanical function, therefore you need to be healthy and pain free to optimally perform. This philosophy also applies to the violent movement to the body that occurs with a trauma injury be it a fall or auto accident. This approach effects all aspects of how we work with the client. There are generally four basic applications for sports massage as it relates to activity. 1.) Pre-event massage to stretch and warm up muscles. 2.) Post-event massage to assist in recovery and reduce injury risk. areas that are restricted/tight so you can focus on those in your training/recovery so they do not become injuries. 4.) During rehabilitation from injuries. Once your injured you may have to either limit or stop some activities all together. Having been a serious athlete for 20 years I understand the desire to get back to your job or sport and the psychological difficulty one can go through if they have to stop. First, we must understand your injury, a protocol of massage treatment and the projected time it may take to heal. This is, generally speaking, different for everyone depending on how quickly or slowly you are at healing. Then we must understand that it is easy to get into a cycle of injuries if you start back too quickly or intensely. To help avoid this cycle and allow your body the time needed to heal, we work with you and your doctor and/or physical therapist to try to find activities where you can continue your training and development without irritating or slowing the healing process of the injury you have. Stopping your activity of choice does not necessarily mean stopping activity all together and continuing your athletic development. For some of us, injuries may be such that there is a permanent change that produces chronic pain. This does not necessarily mean there is nothing you can do to help manage and reduce those effects. We look to work with a doctor and/or physical therapist to develop routines of strengthening and flexibility that will hopefully provide support and range of motion that reduces the stress to the chronically injured area. Massage may be a factor, that used on a regular basis, may help in this process. Sports Massage of Portland has worked with individuals recovering from auto accidents for over 15 years. We understand that healing can take time and be frustrating. We help take the frustration out of your rehab process by communicating with your other health providers, and, billing your Personal Injury Protection (PIP) insurance so you don’t have to stress about paying up front and billing the insurance company yourself. Massage does not always have to have a purpose directed towards injury, pain or training. It can also simply be a way to physically and emotional relax and de-stress. If you have massage therapy as a part of your insurance, we bill for it assuming we are a part of the panel and/or they are open to providers outside the panel. It is possible they have such restrictions. If you are not sure, simply call the number on the back of your insurance card and ask about your benefits. Generally speaking, if one has massage as a part of their benefits, it is obtained in one of the following ways. 2.) Massage may also be a benefit received solely via a referral from a physician and if so may or may not have an office copay. 1.) You may feel lethargic the day of and/or the day after your massage. 2.) You may feel sore the day of and/or after your massage. 3.) Generally athletes feel great two days later. 4.) You may feel fantastic from the moment you step off the table. 5.) EXPERIMENT WITH MASSAGE BEFORE USING IT PREVIOUS TO AN EVENT SO YOU KNOW THE EFFECTS ON YOU…EVERYONE IS DIFFERENT.